Google Mini Home Vs Alexa | Home Readers Digest. Gone are the days when home speakers will simply amplify the sounds and music from your devices. In today’s world where individuals rely on streaming services and premium entertainment at home or while on-the-go, speakers are getting a makeover. Today, smart speaker is redefining the way people enjoy music, streaming services and entertainment, with Google and Amazon leading the charge. 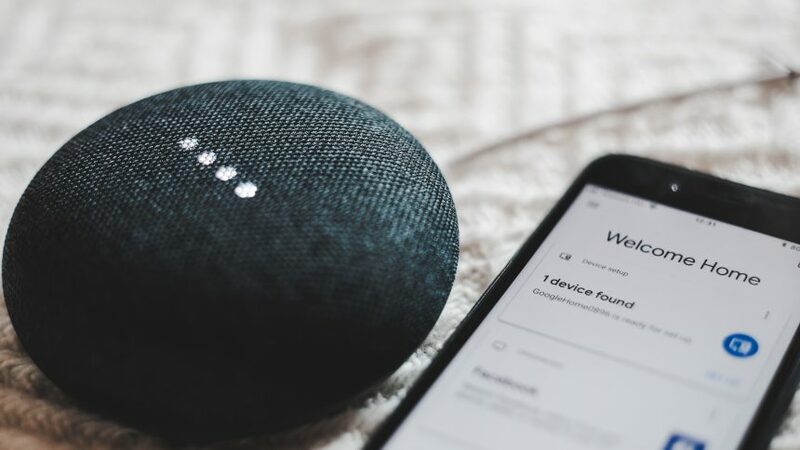 But what can individuals expect from smart speakers, and why are these devices changing the conversations when it comes to audio streaming and entertainment? When the speaker can do a number of things beyond amplifying sounds, then it can be considered as a smart speaker. But for the purpose of this article and the growing niche market, smart speakers are those that are designed to be wireless, with built-in voice control. In a way, these smart speakers allow users to throw in voice commands, and the devices will operate accordingly. Today’s smart speakers are designed as single-unit wireless units, and may feature artificial intelligence that’s built into the system. And for two of the biggest smart speaker sellers in the market, the AI used is Google Assistant (Google) and Alexa (Amazon). Both products are providing consumers with a stylish and different way of enjoying streaming music. While both are marketed as smart speakers, each brand comes with specific design and features that can work for different needs and lifestyle. Priced at $49, the Google Home Mini is an affordable option for those who want to take part in the brand’s smart home ecosystem. Yes, it’s designed to be small, but it comes with its own Google Assistant which is always ready to take in questions, from starting your favorite song or viewing a favorite show. It may be small, but it’s loaded with features and functionality. With the Home Mini, you can place a call, stream music through YouTube and Spotify and connect with Chromecast. On most counts, it carry the same functionality and features seen in its bigger siblings, the Google Home and Max. But the comparisons should end there as the Mini Home comes with less than stellar sound performance owing to its size. At best, this smart speaker should be used as a desktop speaker, and should not be relied upon as your main speaker at home. Yes, it can get fairly loud that you will love in the room, but it lacks the bass. If you are in the market for a cheap and starter speaker, then this is a great choice. Alexa through Amazon Echo is priced at $99 is boosting the presence of the brand in the highly competitive smart speaker market. And with Alexa being included in other third party devices like Sonos One ($199), this smart assistant from Amazon is keeping the competition at bay. Compared to Google’s Assistant, Alexa is ahead on a number of counts, including its ‘wake word’ and in terms of abilities through its ‘skills’. Based on experience, saying ‘Alexa’ is much easier than saying a mouthful of ‘OK, Google’. Alexa is also known for a number of abilities courtesy of its ‘skills’. These are the apps that allow the speaker to perform a number of tasks. As of December 2017,there are over 25,000 skills to use and enjoy. Instead of simply streaming music from Spotify, you can use the skills to complete and enjoy a number of tasks. While Google Assistant also offers the same capabilities through ‘actions’, the options are limited. What Smart Speaker/AI Stands Out? Amazon’s Alexa started the trend and Google Assistant continues the tradition of excellence in keeping one’s home connected and entertained through streaming music. Both products can stream music from apps like YouTube, Pandora and Spotify, but the quality of stream differs. Google Mini Home comes at smaller profile, hence comes with poor sound quality when compared with many Alexa-enabled devices. When it comes to capabilities, Alexa takes the lead with its ‘skills’, allowing customers to enjoy a custom listening experience. But in terms of price, Google Home Mini gets the job done as its priced at an affordable $49. For someone who is just starting to explore the smart home technology, then Google’s entry is highly recommended.